One of the things I love about writing this blog is my opportunity to share with you what I'm baking and cooking, what I'm servin' up to my family, and the tried and true recipes that we love to eat around here. I also love to share the things that I've learned and am learning with you. I get LOTS of cooking/baking/kitchen-related questions via email, and I try to respond to every one of them. But, since those questions come in the form of email, only the person emailing me really benefits from the answer. 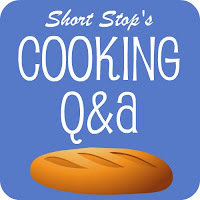 SO, this week, I thought we'd do a Cooking Q & A here on Short Stop. If I don't know the answer, I'll find it out for you. So, fire away. I'm looking forward to your questions and answering them later this week! Do you worry about BPA in cans? Do you avoid using canned food because of this? I find it difficult to find good replacements for condensed soup that I use in recipes sometimes, like a can of tomato soup or canned tomatoes. I would like to know what size your blue LeCreuset is...and if that is still your favorite size. Your food photographs are always impressive. I know it's difficult to take the time to compose a perfect shot and I know it's even more difficult when food is involved. You've shared photography tips before, but do you have any specific tips for food photography (lighting, lenses, editing, etc.)? Do I need to start saving for a DSLR camera? I do my best on my blog with my Canon point and shoot. If I come live in your guest room and do all your cleaning and laundry will you cook for me every single day? That's about all I can think of that really matters to me. My cookies keep coming out flat. I was using Costco Pure vanilla. So I switched back to McCormick real vanilla. It worked! the only ingredient that seemed different was there was corn syrup in the McCormick? are not all vanilla's equal? Is there such a thing as one that is too rich? If so, how do you use it in baking then? i'm dying to try your roasted red pepper cream sauce during lent this year - can i substitute the jarred peppers with peppers i roast in the oven? Or will that change the flavor? Thanks for doing this. This is a stupid question. I grew up mostly vegetarian but now eat meat. I never cooked meat though before and I feel dumb asking anybody this. When I cook boneless chicken breasts do I have to do anything to it when it comes out of the package? That sounds weird, but sometimes there are white parts that I'm not sure if they should be cut out or not. If so, how do you do that? I tried and made a mess and threw the whole thing away. Yeah, I'm hopeless, right? Sarah, I would love to know how you plan your menus for shopping at the store. I try to do this and go shopping once a week, but I almost always fail and have to make multiple trips during the week. Any advice would be great. I have tried a number of recipes on your blog and have loved them all. Hope you are feeling great and enjoying your pregnancy. What are the "must always have on hand items" like a pantry list? Do you cook differently for kids? Do you make them eat what you serve? How do you seed a tomato? How do you even dice a tomato neatly? I would love pictures with this one! I thought of one more. 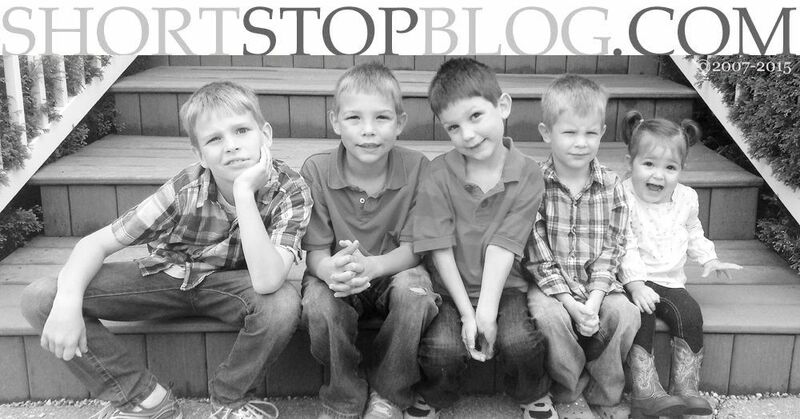 How do you cook with THREE BOYS underfoot? I can barely get dinner made every night!! Do you let your boys help? Brady is 2 and it's hard to get him involved but I'm sure there are ways. What are your tips for keeping them occupied while you cook? Why do my cookies come out flat sometimes? I follow the recipe exact and they still come out flat, what am I doing wrong? Do you ever swap reduced fat or light versions for the original in dishes that call for sour cream, mayo, or cream cheese? Some of us aren't as lucky at staying thin as you are! I buy a lot of fruit and vegetables and then I don't eat them and they go bad. Can I freeze most fruits and vegetables before they go bad? How would I then use them? Also, how do you organize your kitchen? I have so many gadgets and dishes in crazy places. :) Thanks! when you say you came up with a great recipe, did you do it from scratch or do you combine recipes that you've already done?